Charles J. 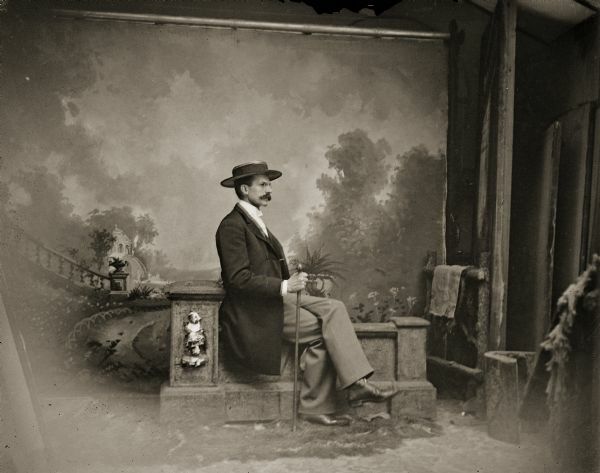 Van Schaick sitting on a stone balustrade in front of a painted background, ca. 1882–1885. The photograph was probably taken by one of his assistants, Louis Sander, A.R. Cottrell, or S. Wohl.